Alt-rock nostalgia boomed in the summer of 2007, making it often feel a lot like the summer of 1997. Rage Against the Machine regrouped, as did the Jesus and Mary Chain, Alice in Chains, and the Happy Mondays. While most reunions provoke an uneasy mix of feelings – warmth and fondness on one hand, disdain and pity on the other – none matched the return of Smashing Pumpkins for sheer controversy. Asked by Spin in 2005 whether the megaplatinum quartet would ever reunite, Corgan answered: “When people ask me that, it means, ‘Are we going to see the four band members onstage again?’…The answer…is no. There’s no way you’re going to get those four people onstage again. The divides are too deep.” A few weeks later, Corgan placed full-page ads in the Chicago Tribune and the Chicago Sun-Times announcing that he was going to “renew and revive” the Pumpkins. 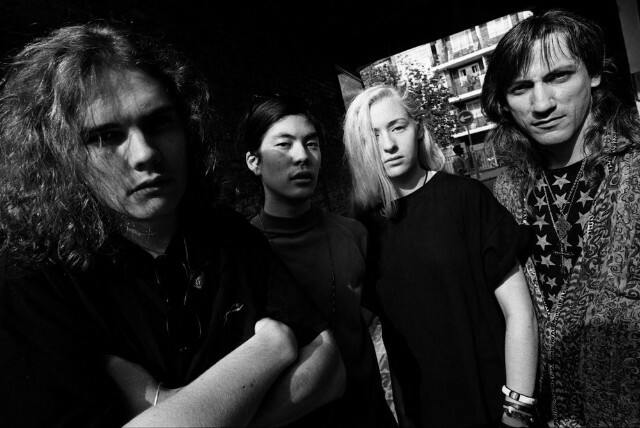 Given that the group played “farewell” shows when they disbanded in 2000 – and that Corgan clearly had no interest in reuniting with guitarist James Iha and bassist D’Arcy Wretzky – what did he mean? Two years after the Spin interview, Corgan finally answered that question: Zeitgeist, the first new Pumpkins album since 2000’s Machina/The Machines of God, arrived in July. Yet, like Barry Bonds’ home-run record, this milestone arrived with a giant asterisk. From the beginning, the chrome-domed alternateur was secretive about the specifics of the comeback: Initial press releases trumpeting the CD and live gigs mentioned Corgan and longtime drummer Jimmy Chamberlin but didn’t cite any new members. It was eventually revealed that joining the tour would be three unknowns – guitarist Jeff Schroeder, bassist Ginger Reyes, and keyboardist Lisa Harriton. Declining all interview requests, Corgan has remained mum on how he found these new players, why he was reviving the band name, or why the revamped unit’s American debut was a nine-night residency at the Orange Peel, a 942-capacity club in Asheville, North Carolina (followed by 11 nights at the Fillmore in San Francisco). Was Corgan, who led hours of rigorous rehearsals before each Asheville show, just getting Pumpkins 2.0 in shape? Or was he just hiding from the inevitable “Where are James and D’Arcy?” questions? Then again, Iha and Wretzky weren’t talking, either. Iha has been keeping busy with his Manhattan recording studio (Stratosphere Sound) and label (Scratchie). “He’s never been contacted by Billy, so he doesn’t have anything to say about it,” says Stratosphere studio manager Debb Hanks. Since quitting the Pumpkins after being busted for crack possession (she was never charged with a crime but did attend a drug rehab program), Wretzky has led a quiet life near rural Watervliet, Michigan. Although she previously co-owned a horse farm, she currently helps her boyfriend with his business, a car wash.